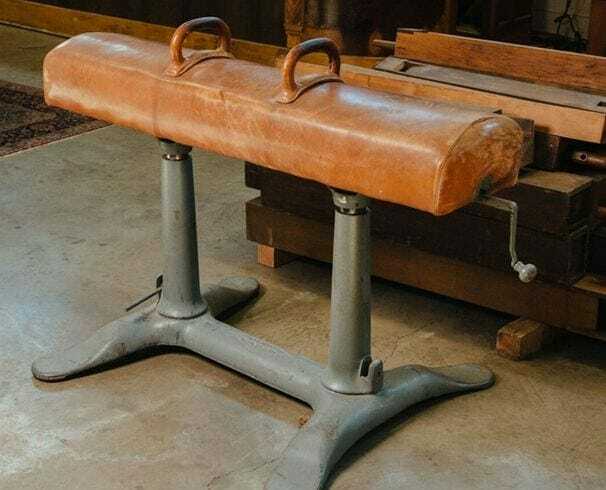 Vintage pommel horse with leather top and metal base. Crank on side adjusts height. “Porter Athletic Equipment Company,” embossed on base. Porter began manufacturing gymnasium equipment before the turn of the century and quickly became an industry leader.